A working vinyard over several generations, Henri, and subsequently, his daughter, Agnès, are passionate vintners. In this place nothing seems really ordinary, and the visitor who is open-minded will feel that here, there is genuine farming and a cultural experience to be discovered. Henri’s great-grandfather, Mr. Vincent Negrel, a wine and oil merchant at La Cadière d’Azur, buys part of the estate. His daughter, Agnès, marries Mr. Eugène Pignatel. Towards the 1930s they create the brand name : Château de la Noblesse, believing in the Bandol vintage. Their daughter, Marie-Jeanne, along with her husband, replant with appropriate varieties of vines. In 1961 the Château de la Noblesse accounts for 10% of the Bandol vintage. After agricultural college, Henri goes into partnership with his mother, then buys uncultivated lands adjacent to the estate and sets about improving them. He levels and plants them, to increase the production of vintage Bandol. In 1990, Agnès, after oenological studies, goes into partnership with her father, Henri. 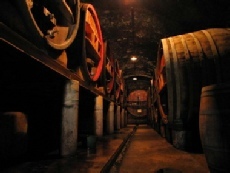 They build a new wine – making plant for vinification and storage of bottled wine. Since its creation, the estate has remained in the family and is of workable dimensions.